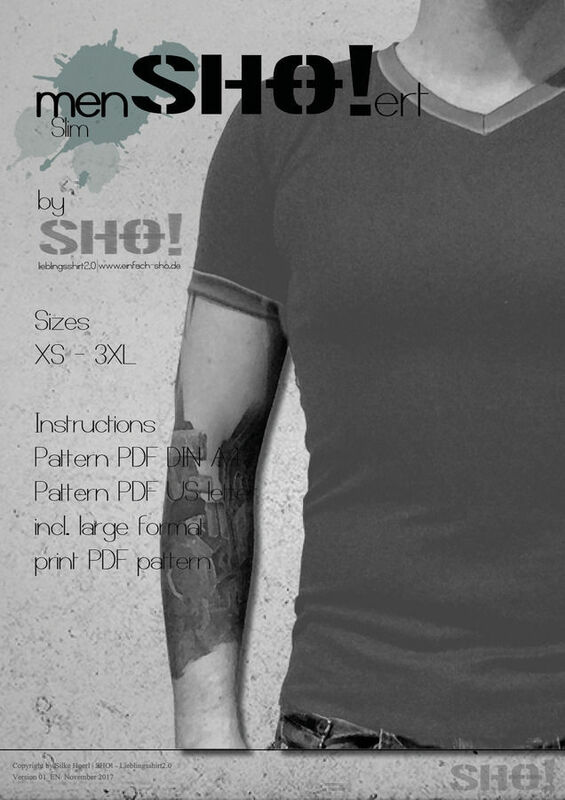 The menSHO!ert Slim is a pattern for a basic shirt, that is well fitted around the waist. It comes with a crew-neck or v-neck and you can sew it with long, short or no sleeves. The menSHO!ert is for stretch fabrics and the eBook covers the sizes XS - XXXL. It includes an illustrated instruction, PDF pattern files in DIN A4 and US letter format as well as several large printing file PDFs. All with metrich and imperial measurements.